I’ve been successfully following your plans for six years with six Boston qualified marathon results in a row. I’m going to attempt to include some altitude training this year. Do you have any advice on how much, how high, how close to race day would maximize my results? 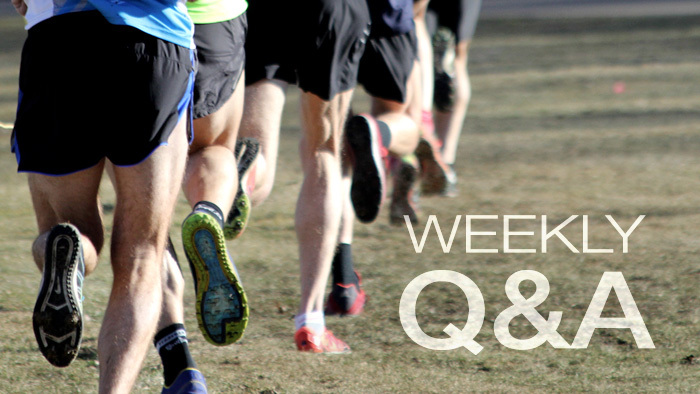 The real question is: Can altitude training improve your performance? Some scientists believe it can, although I have mixed feelings. The consensus seems to be that the best approach is to sleep high and train low. In other words, spend your snoozing hours at Park City Ski Resort in Utah (6,900 feet) and come down to Salt Lake City (4,327 feet) for your fast running. Certainly, the group that trains in Mammoth Lakes, California has achieved great success with Meb and Deena winning Olympic medals, but was it because of altitude training, or simply because of the motivating factor that comes with a lot of good athletes training together and inspiring each other? One advantage of altitude training, at least for your longer runs, is that you don’t need to run as fast to get the same aerobic buzz, so you don’t beat up your body as much. But the reverse side to that coin is that you can’t as easily matching sea level speedwork times. So I’m inclined to say that altitude has a slight advantage. However, when it comes to the average athlete versus the elite athlete, the issue is if you can get any advantage spending short periods at altitude, like a week or more on a ski vacation? More likely you need to move to altitude for longer periods of time; months, in other words. The next question is how high do you need to go to gain an advantage? When I visit Tucson (2,643 feet), I can sense the difference in my breathing, but I suspect you need to get as high as Denver (5,280 feet) before achieving much in the way of a training effect. If you plan to race at altitude, that is almost a separate question. You probably need to do some altitude training a month or two in advance of the race mainly for psychological reasons and to learn what it feels like to be out of breath even while running at a slow pace. As for the race itself, your blood’s ability to carry oxygen will crash during the first 72 hours at altitude. It then takes close to three weeks to rebuild red blood cells. Thus, either arrive at the race at the last minute or three weeks early.